Mini Keepsake Cremation Urns, Guides, Articles. Why Heart Shaped Cremation Urns? Why Heart Shaped Cremation Urns Is For Store Funeral Ashes? Losing your loving friend or family member is a sad situation. As the symbol of love heart Keepsake Urn makes you realize the kind of love you offer to the cremated from bottom of your heart. It is similar to one giving away their heart to the deceased and showing respect in the form of storing the cremation in Heart Keepsake urn. If you are searching for a special cremation urn to remember your loved one who deceased then a heart shaped funeral urn is a perfect choice. 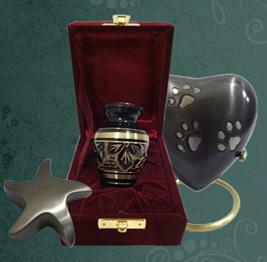 All heart shaped urns products have a small vessel of unique design which holds token amount of the funeral ash. All products are handmade and designed with highest standards. Heart shaped cremation urns are one of our most popular selling product and because of this we have huge collection of heart keepsake urns that are available to suit all tastes. If you are looking for quality jewelry, these are also available in market that you will wear every day beside other valuable ornaments such as marriage and eternity rings. 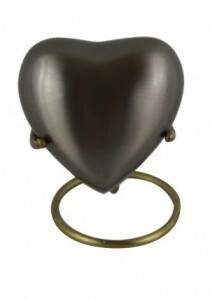 In the UK market, we have huge range of heart shaped keepsake urns, heart shaped pendants and key chains are also available with different designs, metals and finishing. So buy heart shaped cremation urn and store your loved one funeral ash safely. It will remind your loved one memories everyday and it is a good choice to buy these type of design urns. We are selling different styles and designs of heart shaped keepsake urns. Example, heart shape mini urn in red color, in black color, paw prints on heart urn and plain heart keepsake urns.